One of the major concerns with the new Arizona immigration law, apparently, is that it will inspire a wave of racial profiling. At least, that’s what everyone is saying. 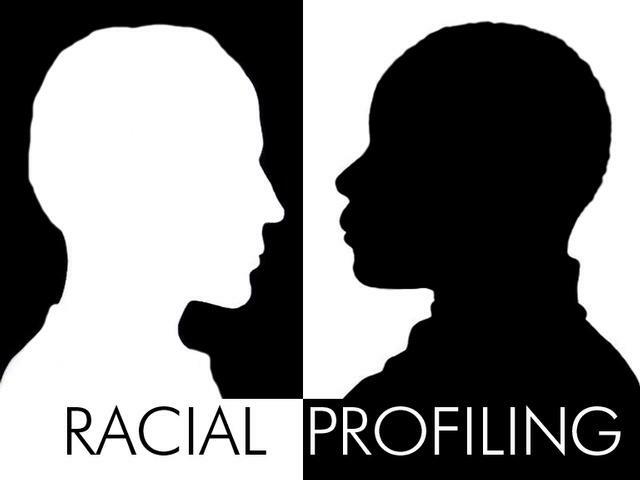 I said a few days ago that racial profiling is not the major concern, and I stick with that point. Here’s another way of thinking about what I was saying before, and one that I think is actually implied by this law, if not an impending state of affairs if the law goes into effect. So, for instance, one can demonstrate that one is not racially profiling when pulling over speeders by showing that the number of speeders pulled over is roughly proportional to the racial makeup of the driving population. One can also avoid racial profiling at airports by running all passengers, say, through a metal detector before they get on an airplane. Am I right? Yes, I’m right. So, since there are no non-arbitrary features that implicate any given person as a citizen or a non-citizen based simply on looks or perception — skin color, accent, language difficulties, many people packed in a car (? ), dirty shoes — and since racial profiling is itself illegal, if law enforcement aim to get around the problem of racial profiling, they can just take all comers. Every person they stop, or ever tenth person they stop, should need to produce citizenship papers: whites, blacks, browns, tans — no problem. Do I support this proposal? No. I don’t support the immigration legislation, and I don’t support this solution. But I don’t support the legislation in part because I don’t support this solution. I would be massively, hysterically, outrageously resentful if some law enforcement officer took it upon himself to ask me for my papers in my own country. I suspect many other Americans would feel the same way. Further, and here’s one final thought, this law will be uncontested if it works out 100% of the time. If every person pulled over and asked for papers ends up being a non-citizen, then the police will have some serious powers of perception. What, then, of the time that it doesn’t work? The time that they stop a person in the street because they suspect he might be an illegal immigrant, and it turns out that he is not an illegal immigrant, but a full, tax-paying citizen. What will they appeal to? The color of his skin? His accent? His shoes? Seriously, how will they get around the non-arbitrariness charge? This is an unenforceable and unethical law. It cannot be justified. I have read a lot of criticism of this law. However, while I was on vacation in Arizona earlier this month, a farmer near the border was murdered by drug cartel people who came across the border, committed the murder and then went back across the border. This is also a problem – and the reality that Arizona is trying to deal with. It is not just people looking for work – the drug war has spilled across the border. The Federal Government is not stopping illegal border crossings – which are ramping up to what amounts to miltary style commando raids (i.e. a group of armed thugs snear across the border, kill, and flee back across the border). Personally, I think checking everybodies driver’s license, when stopped for speeding, is a good idea. I support that, in order to prevent a charge of arbitrariness. Well the Federal Government is breaching that guarantee when they allow groups of armed killers to move back and forth across the border to kill in the United States with impunity. The Federal Government’s breach of its obligation to each state is at least partial justification for this law. Oops – “snear” should be sneak. Murder is a crime no matter how you slice it. There are criminal laws to deal with that. The citizenship status of a person has nothing to do with that. Also, isn’t it true that all cops _do_ check the licenses of any driver once they’re pulled over for speeding? The issue here isn’t whether you need to have your driver’s license while driving, but whether you’ll need to carry around citizenship papers with you _wherever you go_. Ben – you are right that it doesn’t matter whether you are murdered by a citizen or an illegal alien. And, at least in Minnesota, cops do check your driver’s license during a routine traffic stop, like speeding. So I do agree with your points. I do understand the frustration of Arizona. They caught 500,000 illegal aliens crossing the border last year. This law was created in 1986. The idea being that if you are here legally you have the card, which you are required to carry with you at all times. Is Arizona doing anything different than the existing federal law? It is already a federal crime not to have the card, or to be here illegally, thereby not having had a card issued to you. Now I admit that catching illegal aliens using traffic stops is not the best way to go about it – but this is just one more thing to add to the list of charges for laws broken if you do catch an illegal alien (kind of like nailing them for having fake ID). Do you agree that the Federal Government is breaching its guarantee to protect Arizona from Invasion? equipments. Nevertheless, it is a very potent laxative.